Could Tiny Houses Be Coming to a Municipality Near You? Tiny houses are definitely a trend that seem to keep getting bigger and bigger. Whether it is a new HGTV shows (such as "Tiny House, Big Living" and "Luxury Tiny Houses"), a new exhibit at the local home and garden show, or the growing fascination of my 11 year old son, it seems that almost every week I am hearing something new or more about tiny houses. 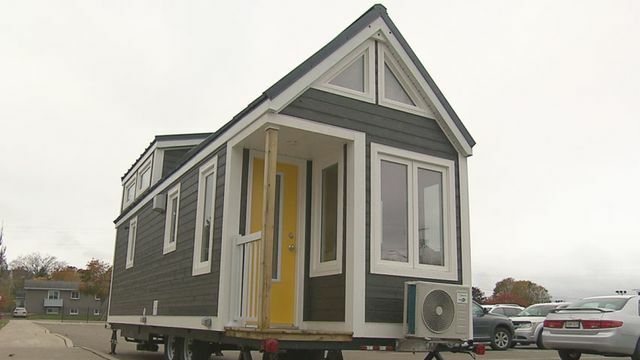 But despite all the talk about the idea of a tiny house, is it even a viable option for housing in western Canada that municipalities should be giving some thought to. The Village of Big Valley, Alberta is doing just that according to the article on CBCNews. Aside from safety code issues (that will be left to the provincial governments to address), municipalities will need to determine if zoning and districts can accommodate such uses, what basic standards should such developments be required to have (e.g. foundations, setbacks, servicing, etc.) and will need to assess how best to service such proposed developments with municipal utilities and services. appropriate development agreements to ensure tiny house subdivisions are appropriately serviced. Legal assistance in making sure the right amendments are made, appropriate development standards are in place, proper conditions in permits and approvals are made, and solid agreements are in place to ensure servicing will be important in ensuring that your municipality is successful in growing such communities and in capitalizing on this growing trend. An Alberta village of 350 people plans to get cozier by building a neighbourhood exclusively of tiny homes. Big Valley, 220 kilometres south of Edmonton, intends to build a subdivision containing 22 undersized lots measuring 30 feet by 80 feet. A normal size lot in the village is about 50 feet by 120.